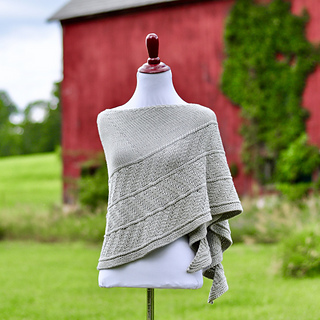 Simple, lively textures give this crescent-shaped wrap modern appeal. 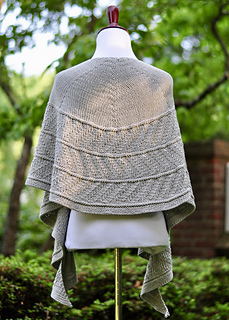 This Way and That is knitted in worsted-weight yarn from the top down. 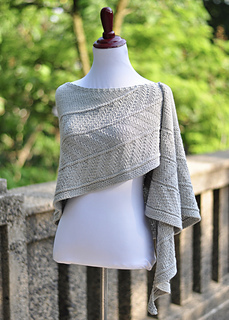 The body of the shawl is stockinette stitch, and the border features three bands of diagonal ribbing, tilting playfully back and forth. The reverse side of the border is beautiful, too, as shown in the final photograph. 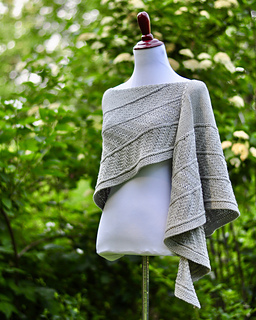 After the first few rows, the knitting is quite intuitive, making this a relaxing, beginner-friendly project with eye-catching results. Fully written instructions are provided, along with a schematic, a helpful diagram and three optional charts. This Way and That is knitted from the top down. 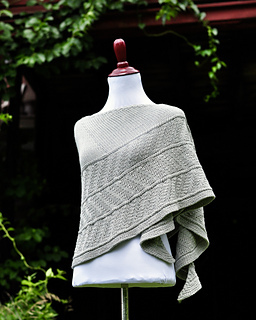 Two options are provided for the cast-on, a garter-stitch tab and and an ordinary cast-on. 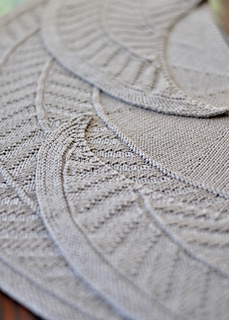 Stitches are regularly added both at the edges and spaced across the row. This construction produces a lovely top edge and a slightly deeper crescent shape. 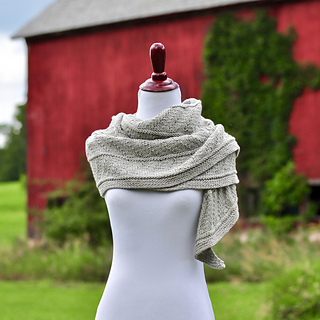 Would you like to join a KAL or get the inside scoop on new designs? 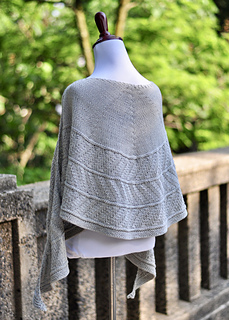 Looking for help with a pattern? 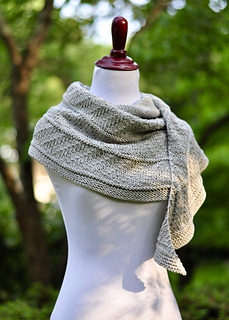 You’ll find the ShadyStroll Knits ravelry group here.